Severn House Publishers, 9780727881953, 208pp. E.J. Pugh's Weight Watchers' group is supposed to help members lose pounds - not their lives . . . - When Berta Harris of E.J. 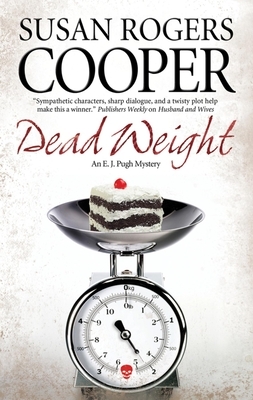 's Weight Watchers' group succumbs to an untimely death, amateur sleuth E.J. is puzzled. Why was Kerry Killian, the realtor selling Berta's house, was murdered the day after E.J. questioned her? What does this have to do with Berta's mysterious death? And why would anyone in the group want to put on weight? As E.J. immerses herself in these big questions, her marriage to husband Willis grows increasingly strained. Can Pugh solve the mystery around the deaths and save her own marriage?